Ooops! You aren't logged in. 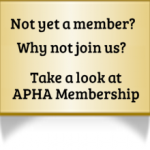 then choose APHA MEMBERS CONNECT! at the top of the page. 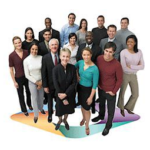 This post has been shared by the AdvoConnection Blog. It was written with a patient-client audience in mind, but might be useful to you, too. Starting and growing a successful advocacy or care management practice requires so much knowledge, and so many resources. Business skills, advocacy background, resources... While APHA provides support for so much of what we need to know, that doesn't mean it's easy to learn it all. APHA might give you an overview of public speaking - why it's important, and the major steps to making it happen. But how can you learn how to master those steps? APHA might suggest you develop a newsletter for potential clients, but just how are you supposed to develop it, and where do you get the content and email addresses you need? APHA might explain about why contracts are necessary, but how do you actually talk to a client about a contract, and convince them to sign it? Trisha Torrey, founder and director of APHA, and the developer of PracticeUP! will be our guest. Podcast Available: 42 minutes Note! Please save this to your own computer to listen. Attempting to listen from the APHA website server may crash the server. This post has been shared by the APHA Mentor's Blog. It was written to help you start and grow an advocacy practice. It is provided so you can find it in a search here at myAPHA.org, but you'll need to link to the original post to read it in its entirety. Find the link to that post at the end of the excerpt.